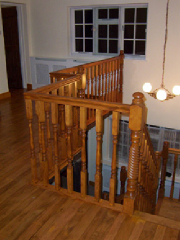 As you browse through our website you will quickly realise we specialise in all areas of the pine industry, but whilst that is the main area of our work we do encourage customers to let us know if they require us to undertake any internal joinery work for them. 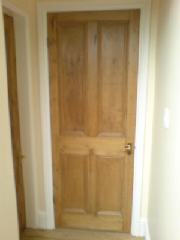 For example we often do joinery such as fitting skirting boards from new timber or our own stocks of reclaimed original skirtings, as well as fit doors even if they are not supplied by us. 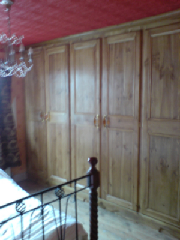 Flooring, Spindle ballustrades, fitting kitchens that have been supplied by other mass produced companies etc......these are all areas that we can easily do such joinery work for you, so please don`t assume that we only fit our own products. 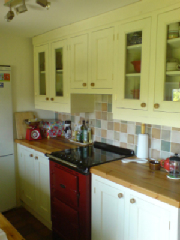 We find it very straight forward to fit kitchens that have been purchased by the customer from elsewhere as we have had years of experience so even if one of our own pine kitchens is not to your tastes, why not ask us to install it for you rather than getting Joe Bloggs joiner / man with a van to have a go? 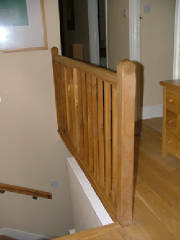 Below are some images of work that we have completed for customers over the many years since we began trading in 1990.